Kate* is an associate at Lenczner Slaght with a growing litigation practice. As a law student, Kate gained experience in civil trial advocacy participating in the McKelvey Cup and the Criminal Clinic, where she honed her skills and gained a reputation as a litigator who advocates with§ tenacity and grace. 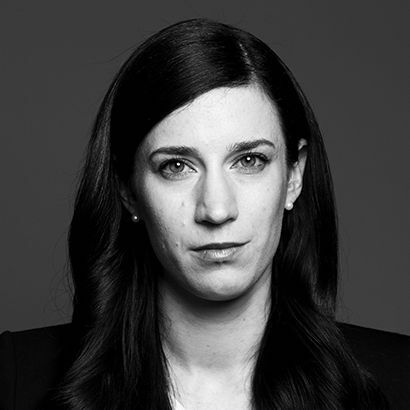 At Lenczner Slaght, she has gained experience in complex commercial litigation, employment disputes, real property matters and a number of regulatory proceedings. Furthermore, with undergraduate degrees in theatre and fashion, Kate still has the ability to apply her love of style‡ in and out of the courtroom. She boasts an immense office shoe collection and uses the skills she gained as a costume designer for film and television in New York City to advocate fiercely and passionately for her clients. .
As a summer and articling student at Lenczner Slaght, Kate had the opportunity to work on complex commercial litigation, employment disputes, real property matters and a number of regulatory proceedings, acting for both prosecution and defence. Kate completed her JD at Dalhousie's Schulich School of Law where she was an advocate and Internal Director of Dalhousie Student Advocacy Service, representing students accused of academic and Code of Conduct offences. She participated in the Criminal Clinic, assisting defence counsel on a second-degree murder trial before judge and jury, and represented Dalhousie at the McKelvey Cup. Kate was also a peer educator with Dalhousie's Indigenous Black and Mi'kmaq Initiative. Prior to attending law school Kate worked on and off-Broadway in costume and prop design, and in the costume department for NBC, HBO and F/X Network television and film productions.